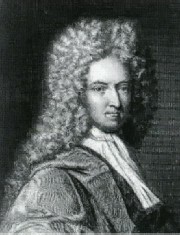 Daniel Defoe was a prolific writer (over 370 known publications) who could–and would–turn his hand to almost any topic; he has been called one of the greatest journalists and the father of journalism. To many of his contemporaries, he was a man who sold his pen to the political party in office and so lacking integrity. He was not taken seriously by literary men, though his skill at writing was acknowledged. Alexander Pope said of him, "The first part of Robinson Crusoe is very good–De Foe wrote a vast many things; and none bad, though none excellent, except this" (1742). He was an outsider, being a Dissenter or Puritan, the son of a butcher, and a suspected government spy (this suspicion was confirmed in the nineteenth century). Jonathan Swift regarded him with contempt, "One of these Authors (the Fellow that was pilloryed, I have forgot his Name) is indeed so grave, sententious, dogmatical a Rogue, that there is no enduring him." At least part of Swift's attitude is snobbery; Defoe was not a gentleman born or raised though he aspired to be one and changed his name from Foe to Defoe and bought a coach with his coat of arms on its door. For nearly seventy-five years, Defoe's reputation as a writer was in decline. But from 1780 to1830, a succession of biographies and editions of his works was published, and his literary star began to rise. As perceptive a critic as Coleridge appreciated his artistry. But Sir Walter Scott, though appreciative, raised the objection that Defoe lacked conscious artistry, "Defoe seems to have written too rapidly to pay the least attention to his circumstances; the incidents are huddled together like paving-stones discharged from a cart, and as little connexion between the one and the other." This objection continues to be raised. Despite these favorable changes, Defoe had not yet achieved his current literary eminence. The revelation that he had been a government spy reinforced the earlier negative view of him, and some mid-19th century readers were shocked by the language and content of Moll Flanders and other novels with rogues as the main character. Despite these negative reactions, by 1860 the number of books and essays about him increased dramatically, and he was on the way to being acknowledged as one of the great eighteenth century writers. He received widespread and consistent serious critical attention in the twentieth century, and his works have been subjected to modern interpretations, e.g., Marxist, psychoanalytic, feminist, and poststructuralist. With six printings in four months, Robinson Crusoe was a popular and financial success in 1719. To capitalize on its success, he wrote, in the same year, The Farther Adventures of Robinson Crusoe, which is a disappointment for most readers. The next year, he recycled some essays as Serious Reflections of Robinson Crusoe. Through the remainder of the eighteenth century and the first half of the nineteenth century, Robinson Crusoe was printed with both the first and second parts. The modern practice of publishing only the first part of Robinson Crusoe began around 1860. Because of Robinson Crusoe's success, it was immediately pirated, abridged, imitated, translated and adapted for the stage as pantomime and as drama. Because of its universal appeal, the novel continued to be published, adapted, and tranformed for over two centuries. By 1895, 196 editions of Robinson Crusoe had been published, 114 revisions, 277 imitations, and 110 translations–translations in Dutch, Hebrew, Armenian, Bengali, Persian, and even Eskimo, to name a few. It has been packaged as a picture book with little or no text; this degradation was consistent with a tendency to view it as a children's book, a fate it shared with Gulliver's Travels.. It continues to inspire novels like Swiss Family Robinson and Muriel Spark's Robinson; Crusoe has been reincarnated as a boy, as a girl, as a dog, and as a sexual Crusoe. Crusoe has appeared in succession of movies, including one which sent him to Mars. And Engelbert Humperdinck starred in a 1969 pantomime in two acts called Robinson Crusoe. Defoe's greatest work, by the general agreement of critics and the acclaim of readers throughout the world, is Robinson Crusoe. The first two paragraphs discuss capitalism and Crusoe. Capsule biography of Defoe. Numerous links explain key terms, like dissenter, Tory, and Anglican Church. I find so many links in short texts annoying, but you may not. Chronology of major events in his life and writing, bibliography, Defoe as "the true-born Englishman." Also a section on studying fiction and basic literary terms. Ignore the ads unless you are interested in buying. Defoe is discussed in three chapters–"The Newspaper and the Novel" by W.P. Trent ; "The Literature of Dissent, 1660-1760" by W.A. Shaw; and "Education" by J.W. Adamson. The chapters are broken down into sections. You might try browsing, or just pick the section topics that appeal to you. The first paragraph is about Crusoe. A student essay on Crusoe's relgious conversion and its political meanings. Robinson Crusoe. Summary of plot, historical context, main characaters, points to ponder, a few did-you-know facts, and e-text of the novel. Review of the movie Robinson Crusoe on Mars. Lecture on Robinson Crusoe, Ian Johnson. Day 2 (M, Sept. 9) Defoe, Robinson Crusoe, Preface - "I Build My Fortress"
Defoe, Robinson Crusoe, pp. "I Hear the First Sound..." - "We Quell..."